Looking to sell your home? To get you started, we talked to affiliated agents with Coldwell Banker Preferred to get the inside scoop on selling your home this spring. The general consensus? Now is the time to buy and therefore, the time for you to sell. Here’s why and how your home could be a top contender in this season’s market. Inventory historically tends to rise in the spring so there is always an influx of buyers actively looking for a new home, says Coldwell Banker Preferred affiliated agent Lori DiFerdinando. The increased inventory also increases your competition and gives buyers more choices. However, buyers can afford to be selective since there are more homes to choose from, which is why DiFerdinando advises homeowners to be proactive and work with a real estate agent. “Assemble a game plan and arrange for your own home inspections. Consider home-staging and interior projects that will increase appeal and finally, price your home correctly,” she says. The highest level of interest is generated in the first two weeks your house is on the market so make sure you hire a professional who knows your neighborhood and who will price watch and prospect for you every day. Spring is when you can expect to have bidding wars over your house on open house days, says Coldwell Banker Preferred affiliated agent, Laura Kaplan. Spring typically brings out the most serious buyers, ones who have a real urgency to close. Coldwell Banker Preferred affiliated agent Linda Alexandroff says that’s because there’s a huge opportunity to capture buyers who are interested in moving to specific areas for schools. Most families will try for a summer settlement but they look for houses in the springtime. Also, the military does a lot of reassignments this time of the year and they are motivated buyers. Listing your home in the spring means you are exposing your home to the highest number of motivated buyers, Coldwell Banker Preferred affiliated agent Emily Seroska says. “Buyer traffic and in turn, buyer demand, is always highest in the spring months. As a result, houses yield the strongest sales price in the spring season.” Kaplan also agrees that spring typically brings out the most serious buyers. “Selling your home in the spring could mean you get more money for your home and you can get it faster,” she says. Seroska says since homes sell faster in the spring, listing now minimizes the disruption and stress of showing your home – getting out of the house for buyer visits, running home to take the dog out for showings, keeping the house perfect so the house is ready for last-minute showing requests, etc. 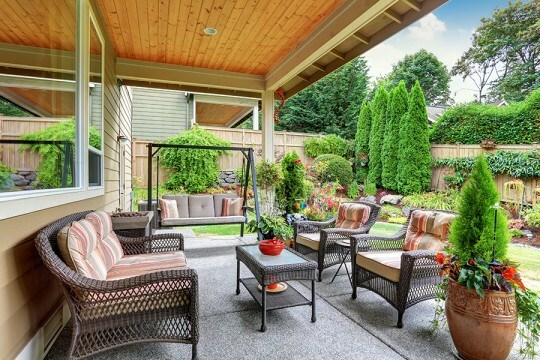 Lastly, with the warm weather, you get to showcase more of your square footage – your yard, garden, patio and deck, and the leisurely lifestyle that goes along with them. Kaplan says if you can get buyers picturing backyard barbecues, naps in the hammock or wine on the terrace, you’ve moved them closer to a sale. However, it’s important to keep in mind that your outdoor space is only a selling point if it looks nice. “Invest in a power-wash, mulch and mow for a quick fix,” Kaplan says. Ready to sell? For more information about buying or selling a home in the communities of the Greater Philadelphia area and the Delaware Valley, visit Coldwell Banker Preferred online at www.coldwellbankerhomes.com/philadelphia.